I finished off the binding last night on Just Butterflies so that one can go into the donation pile. 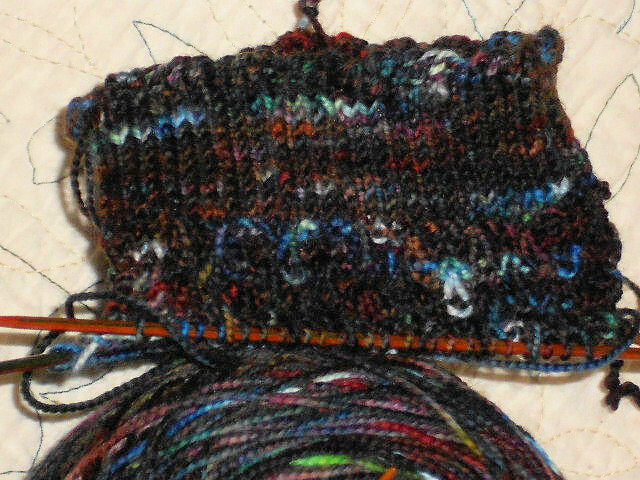 I also got a couple inches done on the sock I started on last night. Only problem is the yarn is so dark and the color bursts in it so short that the pattern , which is a dewdrop elongated stitch, isn’t showing up in this yarn. So my plan is to rip this one back to the ribbing and then just do a plain jane sock out of this yarn. 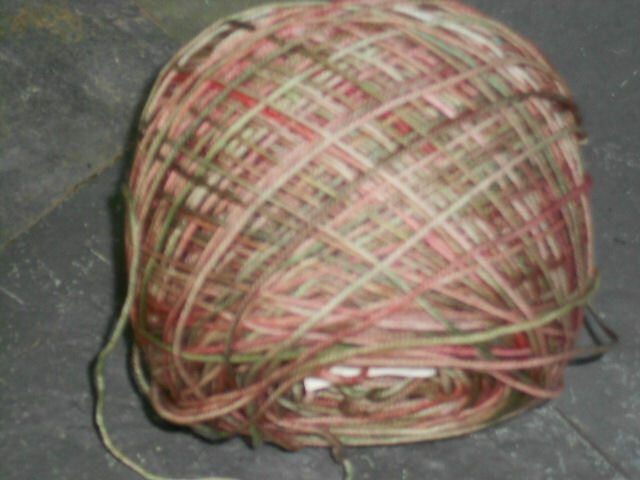 But I still really want to make the Harvest Dew pattern so pulled out this yarn – it’s a Socktopus yarn called Princess and the Pea so will start that pattern again in this yarn and see how it looks. I was busy digging through the Quilts from the Crate (8 completed from the Crate so far) and pulled out two more projects to layer and quilt. One is the Kat table runner. The Kats were from a past block swap. It’s hard to tell from the photo since the background fabric sort of blends into my design wall but the edges of the runner are angled – following the dark triangles. And I also pulled out another top which will be a donation quilt. I have several tops in the Crate that are either bow ties (in various layouts) or just rows of rectangles — all in 30s prints since I decided I was tired of 30s and would cut up all the ones I had in my stash. 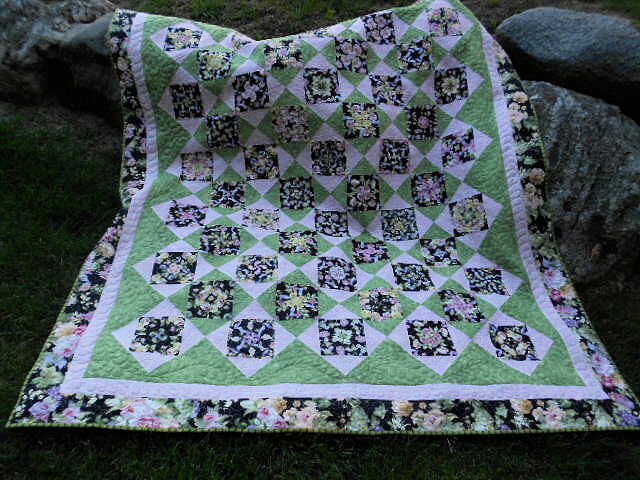 I think I’ve already quilted most of the 30s quilts but there’s still a few in that crate. So now to find some breakfast and then some backing for these projects. Yes – just in the nick of time it’s finished! I fell asleep while hand stitching binding last night so didn’t get it done. So tonight – first thing – finished the little over a long side of binding to hand stitch, took this photo and then into the washer it went to remove a few markings. It’s now in the dryer and tomorrow it goes to the office. Thursday is the women’s golf outing where it will be in the silent auction to raise money for the Komen Fund. I didn’t realize it was already approaching 9 p.m. and no one has made me dinner yet! I really need to hire me a cook for when I’m on vacation since I tend not to want to stop what I’m doing to bother to cook. LOL I think its popcorn for dinner tonight. Today I pulled out the Just Butterflies quilt top, pieced the backing and started quilting on it. 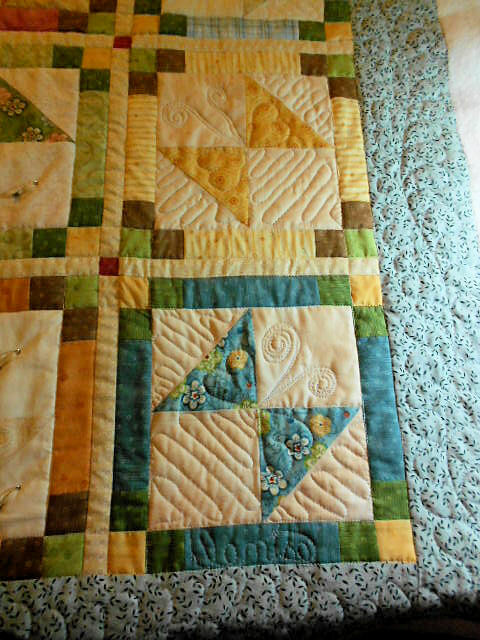 I would probably have it all quilted by now and be working on the binding except for the storms this afternoon. The golf ball size hail missed us as did the 70 mph winds. But there was lots of ugly sky and lots of lightening so I unplugged my machine for a couple hours while the storms went through. We ended up with a nice rain – a bit heavy for a little while but not bad and none of the damages that other areas not far away were getting. 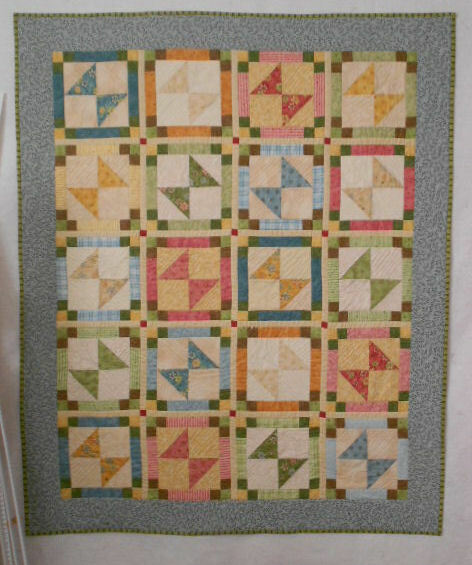 So tomorrow, hopefully, I’ll get the quilting finished on that quilt and get the binding attached. Which will mean another Quilt from the Crate is out of the crate and this one was also one of the past month’s UFO challenge quilts that I didn’t previously get finished so I’ll be one step closer to gettting caught up on the UFO challenge project finishes. 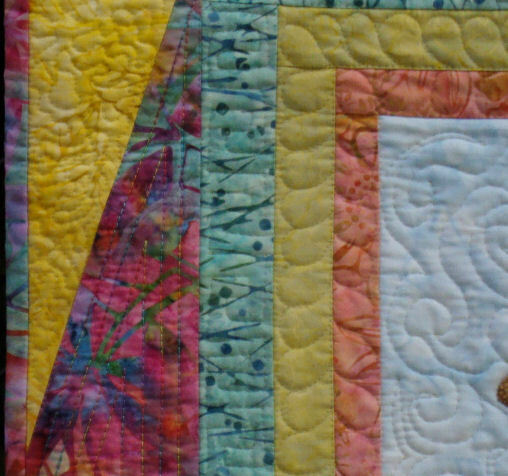 Here’s one corner of the quilt. There’s a feather design in the outer border. The sashing, cornerstones, and then the framing around each butterfly are all stitched in the ditch and then there’s some antennae and just some meandering around the butterflies. 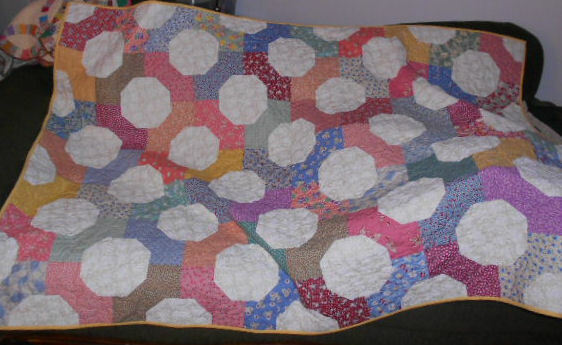 It will be another quilt to add to the donation pile. 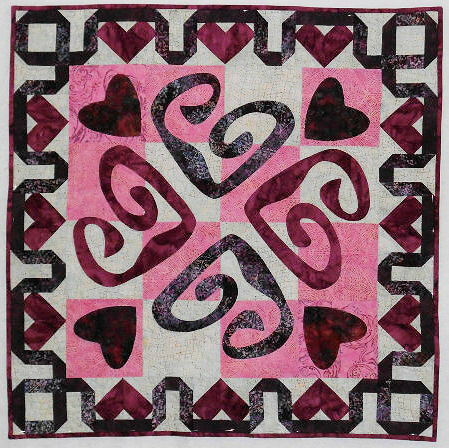 Wacky Hearts was one of the designs available on the blog that I did last year for the Year of Wallhangings project. This one was February of course. It is also the top that was on my UFO Challenge list to finish for April. Finally I just may get one of those challenge projects done on time if I actually get the binding finished in the next week or two. 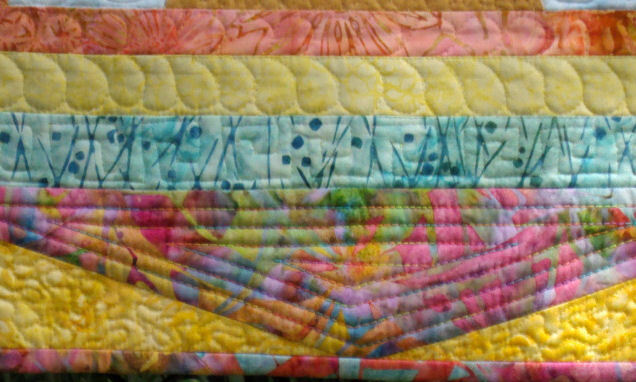 I quilted it this afternoon and the binding is pinned in place and it just needs to be handstitched down. 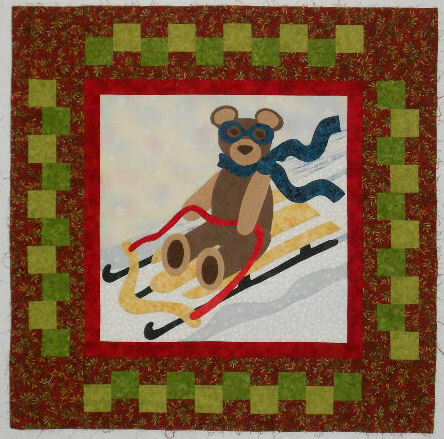 It also was one of the tops that was in the Quilts From the Crate so I finally have one more of those tops quilted. Another Quilt from the Crate completed. This one will go to a women’s shelter also. I won’t keep up this quilting pace long but it’s nice to see some of them completed. 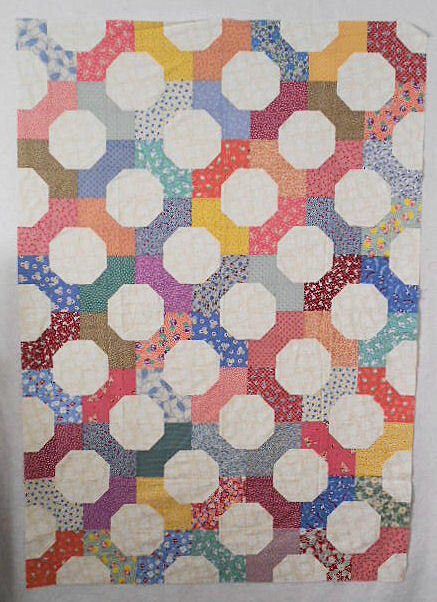 Number 3 from the Quilts from the Crate completed. Got the binding sewn down last night. I just did an overall meander with bright variegated thread. 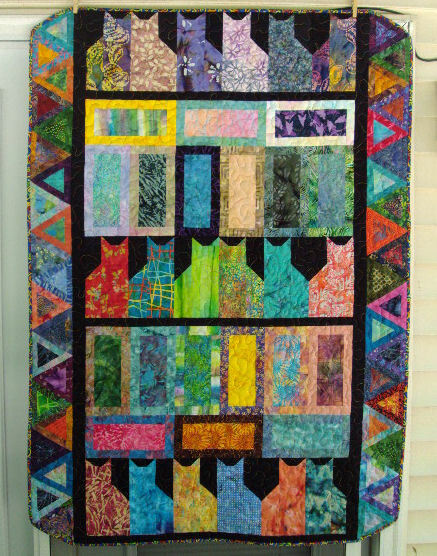 This one is made up of batik Kats left from a block swap, The batik bricks and triangles are left over from two other proejcts. I was going to quilt the tops in the order piled in the crate but will be digging through the pile today to find one to fit the leftover pieces of batting I still have on hand. Need to go lay in a new supply of batting soon. Now a huge amount but 4 yards used this week – backing and bindings and sashing for another project. 85 yards used YTD, 34.25 purchased for a net busted of 50.75. At least I’m a head of the game, using more than I’ve purchased. Hope to have slightly better numbers next weekend if I get the sewing done I plan to do this weekend. My sewing machine and it’s tension were cooperating nicely last night when I was quilting it so I really like the way it turned out. 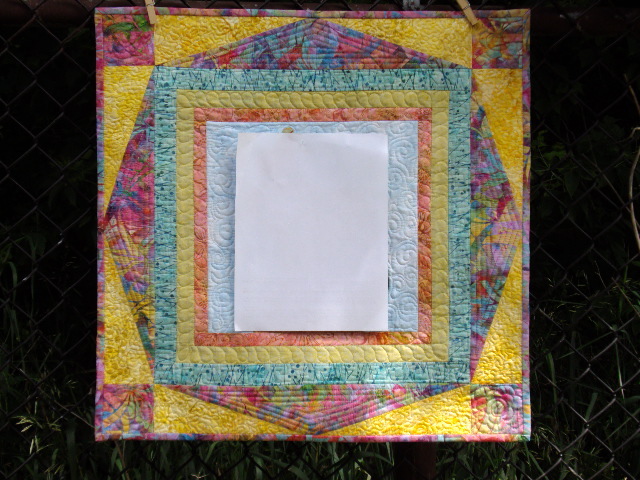 I used a couple different threads – a King Tut variegated one in the long pointy triangles, Bottom Line yellow in the yellow pieces, and Prym-Dritz nylon in the rest with the Bottom line for the bobbin of all. Of the various invisible threads I’ve used I really like the Prym-Dritz – its a softer feel and not as shiney as some when quilted and with the Bottom Line on the bobbin – no little peek throughs of the bobbin thread on the top. I also forgot about how easy it is to get something quilted when you don’t have to remove pins as you go along. 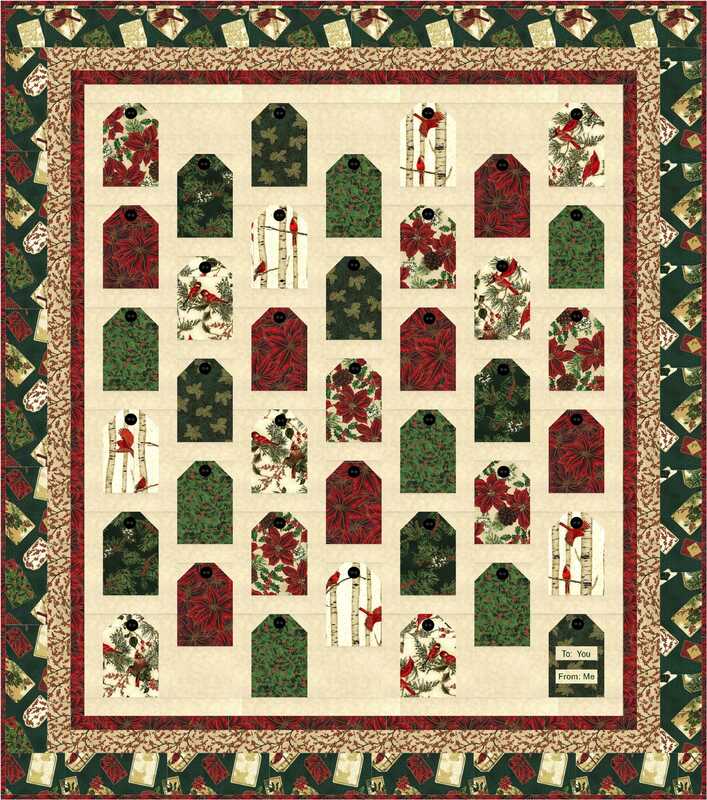 I used Dritz Spray Adhesive to layer this one — works great and no odor or sticky residue as you’re quilting. I’ve tried several spray adhesives but this is the best I’ve come across so far. 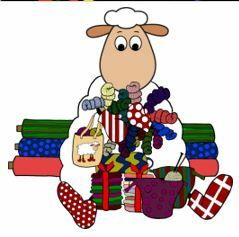 Got most of the cleaning in the kitchen and living room done yesterday except for some final dusting and sorting the knitting projects basket. But today I’m taking the day off “work”. 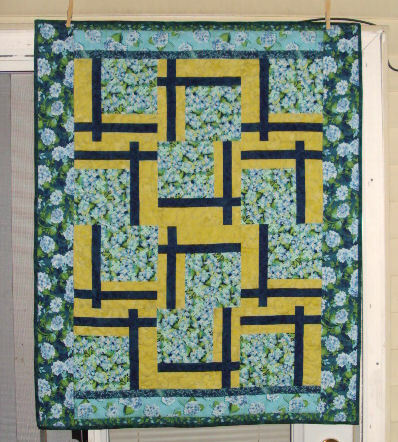 Spent the moring sitting on the patio sipping coffee and handstitching the binding on this wallhanging. So now to pull out another top to layer. 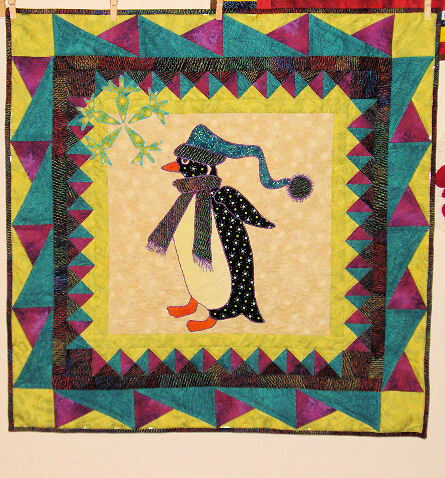 The first top in the Quilts from the Crate was Percy Penguin – the January Year of Wallhangings design. He’s quilted! 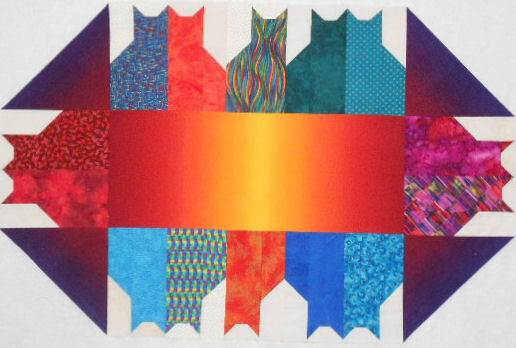 I added a button at the top of the blog header for Quilts from the Crate if you wish to see the progress as I strive to meet my own personal challenge to get them all finished by the end of July next year. One down… heck a whole bunch to go! 🙂 Okay I cheated just a little and added this one as “finished” to that page. It really needs the binding hand stitched down yet but that’s one thing I don’t really procrastinate on since I like hand stitching them in the evenings while watching tv. So it will be done in the next night or two. I’ve already looked to see what’s next in the stash and whew! it’s another small one. 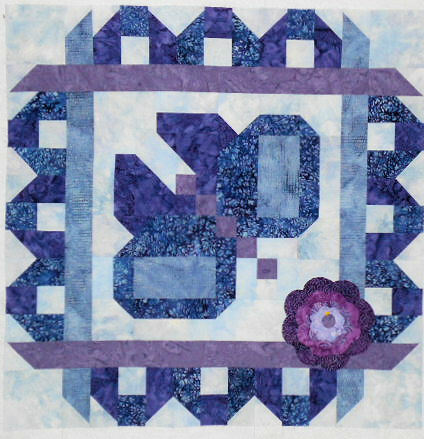 So hope to get that one layered tomorrow night so I can start the machine quilting.